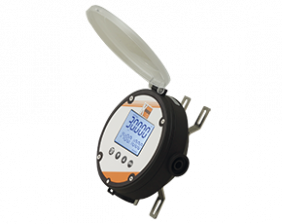 The electronic units ZOE are specifically designed for the calculation and display and of flow rates and volume flow of flowmeters. The device operates via battery or external power supply. The ZOE can be connected with flowmeters with pulse or frequency output. The electronic shows flow rate, daily counter (resettable) and total counter. Mass units can be set. All customised programme settings remain saved even after a battery exchange. The housing of ZOE is weather resistant and has protection category IP 66/67 (Nema 4X). The electronics is housed in a UV-resistant, glass-fibre reinforced nylon housing with stainless steel screws and FPM seals. The instruments are suitable for harsh indoor or outdoor environments and comply with EU Directive 2004/108/EC (Electromagnetic Compatibility).